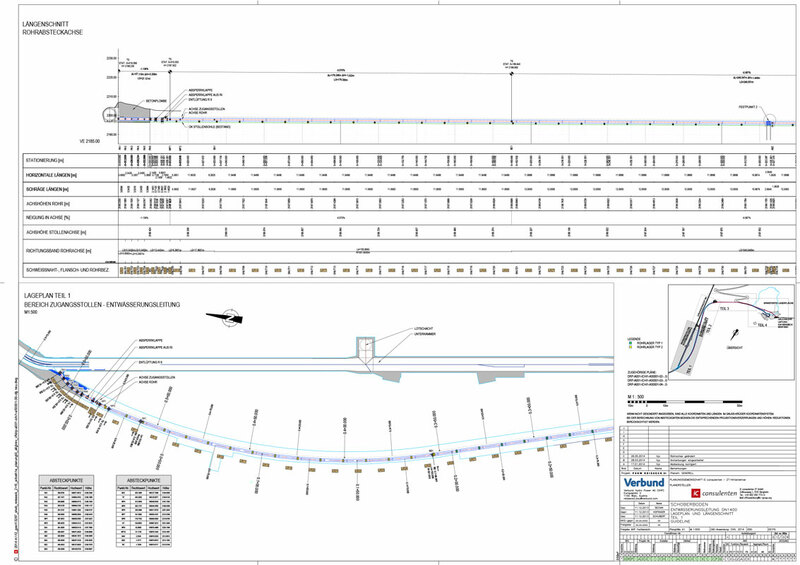 iC consulenten ZT GmbH were entrusted with the execution design of the connecting pipeline from the headrace tunnel of the Reisseck II pumped storage power plant to the existing pressurised pipeline of the Reißeck I power plant. The new pipeline has a diameter of 1,400 mm and a length of approximately 1,000 m. It is partly located within the access tunnel and partly above ground. Elea iC provided their expertise in steel detailing and preparation of shop drawings. With its new pump storage power plant Reißeck II, Verbund is expanding and modernising its existing Maltatal valley and Reißeck power plants in Carinthia and turning them into one of the biggest and most productive hydropower plant groups in Europe. Pump storage plants like Reißeck II are the ecologically and economically most sensible way to balance out the heavily fluctuating electricity production from wind and solar energy. As Reißeck II will be operating together with the already existing storage power plants Malta and Reißeck/Kreuzeck, its interference with nature is limited to an underground headrace tunnel and machine and transformer caverns. The supply pipe and drainage are also placed underground.